Dumplings, and mothers who know best. Both, Eunjung Kim has learned, are universal. The 30-year-old grew up in Korea, where her mother has owned a chain of restaurants for nearly 15 years. Today, Eunjung uses many of the same recipes at Zannchi—the restaurant she opened one year ago on Wisconsin Avenue. Dumplings, it turns out, need no translation. Zannchi’s variety are made from scratch and no different from what you’d find in Korea. The rice bowls were more involved; seven emerging after Eunjung tirelessly experimented with ingredient combinations—everything from avocado to spicy pork—before landing on the perfect pairings. Every aspect of Zannchi has been ‘from scratch’ for Eunjung, who didn’t know much about the restaurant business as a child. It wasn’t until she moved to Canada at 15 and returned to Korea each summer that she started to pay attention. After moving to the states to attend NYU, Eunjung stayed in the city for two years working as a foreign exchange broker—and observing an increased demand for good Korean food. Back home, her cousin was becoming a seasoned chef. 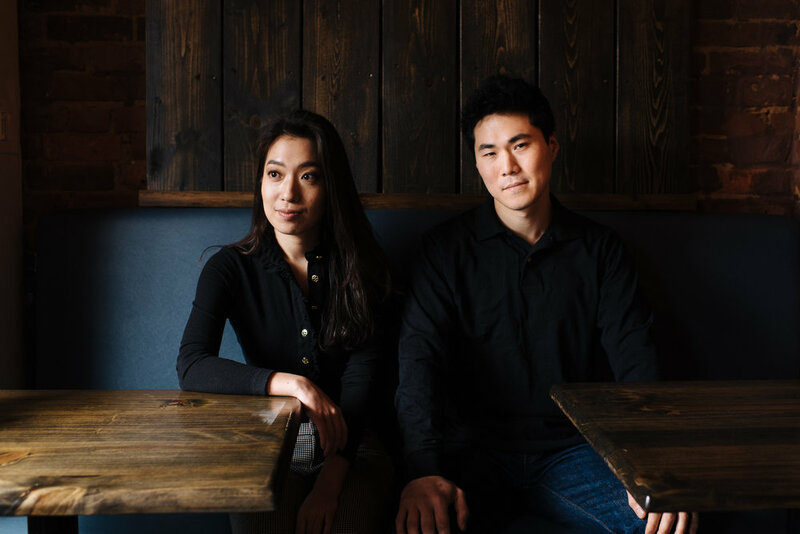 Over evolving phone calls, the two made plans to one day open their own Korean restaurant in the United States. It all came together when Eunjung enrolled in Georgetown’s business school. The two talked, realized they had the same model, and became partners. With plans underway, Eunjung’s cousin moved to DC to run the kitchen. Timing, as they say, is everything. And while the DC demand for Korean food was on the rise, Eunjung’s school schedule was at its height, too. Zannchi opened in March 2016—two months before her graduation. Tom Sietsema did come, and Eunjung did deliver. His favorable Washington Post review that June put Zannchi on the map. Today, Zannchi—Korean for ‘feast’—is a favorite with residents and nearby business owners alike. Eunjung says without any leverage to open in most prime locations, it took a year to land on the Wisconsin Avenue building—alternatively considering opening a ramen place downtown. And yet a year into her business, Eunjung says the biggest challenge wasn’t about location. It was stepping up as on owner. She may be the boss now, but Eunjung is still her mother’s daughter. Eunjung recently framed the Tom Sietsema review, but is still looking for a place to hang it. Already on the wall, a picture of her mom’s restaurant. **Don’t miss this short video for another look at Zannchi!